India - a Tourists paradise: Diabetes and How Homeopathy can Help Manage it? 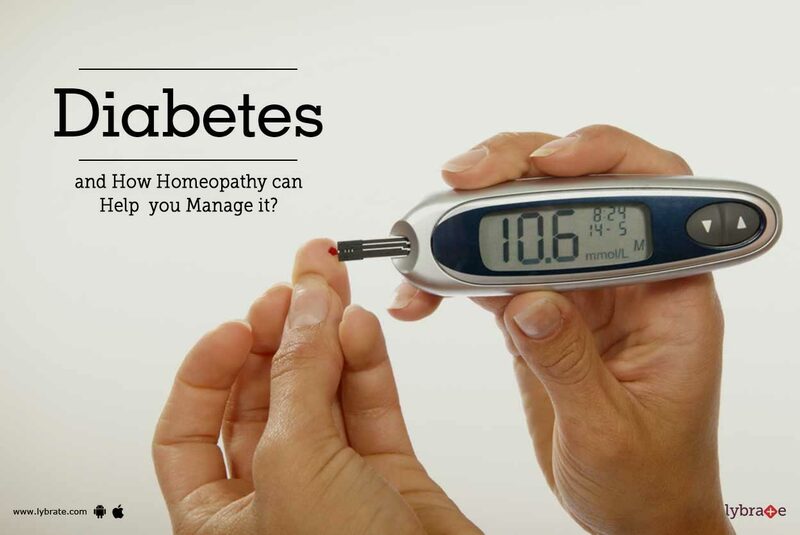 Diabetes and How Homeopathy can Help Manage it? Diabetes is basically a disorder of the metabolism causing excessive thirst and the production of large amounts of urine. To further elaborate one need to understand the role of insulin in the body. While eating, the body turns food into sugar or glucose. At that time pancreas is supposed to produce the right amount of insulin to move the glucose from our blood into our cells. In diabetics, the pancreas either produces little or no insulin, or the body cells do not respond to the insulin that is produced. Due to this, glucose levels rise in the blood, floods into the urine and passes out of the body, making the body lose its main source of fuel. Diabetes is of many types, but the most common is Type 1 and Type 2. Controlling blood sugar level is the major goal of diabetes treatment, in order to prevent complications of the disease. Treatment may be in Allopathy or Homeopathy, conventional medicine often uses insulin itself in the treatment of diabetes. Since this is kind of replacement, so diabetes becomes a life-long disease. Homeopathy can be used effectively in the treatment. Let’s see how diabetes can be worked with Homeopathy. The commonly used remedies are Uranium Nitricum, Phosphoric Acid etc. These are classical homeopathic remedies. Depending on the level of the blood sugar and the requirement of the patient, doses are given with doctor’s consultation. It’s a holistic approach in medicine. This treats the patient taking into consideration the mental, emotional and physical peculiarities of the person who is affected with this state. In this, it is considered that the disease is a mere deviation in life force and hence all the efforts are to correct this disorder. The treatment will be to bring into balance the various systems involved in diabetes, for example, pancreas, hormones, and your immune system. Treatment will again be different if you have other ailments along with diabetes.